In the early 70s, a 19 year old from Rhode Island decided to live his dream. Like many others before him, he moved to Hollywood with the hopes of making his dreams come true. After several odd jobs he tried his luck opening an adult book store and then a coffee shop but this wasnt his dream. One evening, along with his partner, a Hispanic and a Black friend, they had a difficult time getting inside a nearby club. He soon realized that most local clubs were not "gay, Hispanic or black hispanic friendly". This experience gave him an idea that would soon become a reality. After several ups and downs, he and his partner scraped up all their spare cash, maxed out their credit cards and rented a large vacant warehouse where they could have their parties and all would be welcomed. There would be no discriminating there. The year was 1974 and his name was Gene LaPietra. He, along with his partner Ermilio "Ed" Lemos, had made his dream come true. A disco was born. They called it "Circus Disco". Circus was a haven for groups that werent welcomed at most other clubs at the time. The road to success for these two entrepeneurs was anything but smooth. There were many attempts to put them out of business. At one point, their entire security staff was arrested in an attempt to discourage them. The local authorities found any excuse to discourage them. Once the owner of the property found out about the club, he too tried to close them down. Their efforts were unsuccessful. Despite many attempts to close it, Circus remained open. At one point, Circus was raided by the local police, whom physically harassed the patrons and staff. Once in front of the judge, the authorities denied any wrong doings. Unfortunate for them, a group of attorneys was celebrating a birthday there and witnessed the harassment first hand and one of the DJs happened to be recording and caught the entire incident on tape. They were never harassed again. Circus soon became a mecca of the L.A. disco scene attracting many Hollywood superstars, celebrities and legendary recording artists such as Sylvester, Divine and Cher. You never knew who you would run into at Circus, it was the place to be. Gene wanted everyone to feel welcomed despite your income or popularity. He never lost sight of his dream. Unlike Studio 54, he made sure everyone got in. There was no minimum drink requirement, no picking and choosing his guests. All were welcomed. Circus became so popular that a two hour wait to get inside was not uncommon. Even then, Gene was always found outside the club welcoming everyone as he does to this day. For years he was thought to be doorman which was fine by him. After witnessing first hand the success of Circus Disco, Gene was approached by a short gentleman who also had a dream. He proposed to Gene a partnership in an all new disco in Hollywood. After careful consideration, Gene and Eddie advised him he would have a difficult time opening a club in Hollywood and suggested he try Los Angeles. Gene and Eddie declined his offer. This same gentleman later took his idea to New York and opened his club there. His club had a short but legendary life. His name was Steve Rubbel and his club was Studio 54. By the mid 80s most of the original discotheques had closed their doors but not Circus. Circus remained strong. Attracting thousands of people every weekend. In 1990, Gene's life-long partner Ermilio "Ed" Lemos passed away. Circus remained open. In fact, Gene now owned the entire property and expanded the club even more by purchasing the ice factory next door. The already huge club doubled in size. 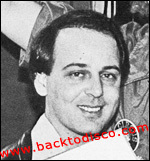 Many promoters, patrons and friends have advised Gene to get rid of the name "Circus Disco" and rename it to "Circus". They told him that disco was dead. 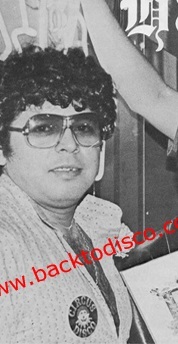 He refused, simply saying that disco is my roots, thats how it started and thats how it will end. Circus Disco remained. Recently at Circus Disco, the disco was long gone, the lines were gone, the numbers dropped but Circus Disco remained. Then on Saturday November 10, 2007, Circus once again witnessed a night of disco unlike it had seen in 20 years. Disco had returned to the place where it all started, Circus Disco. The place was packed. The energy level was at a peak. If you arrived at 9:00 p.m. when the doors opened it took an hour to get inside. The walls were thumping to the sounds of the beautiful music that started it all....DISCO! The club had not seen that much disco energy in over 20 years. Anyone who was there will tell you it is the closest thing to time travel they had ever seen, Gene agreed. Backtodisco.com brought the disco back to Circus. No longer was anyone ashamed of the word "Disco".